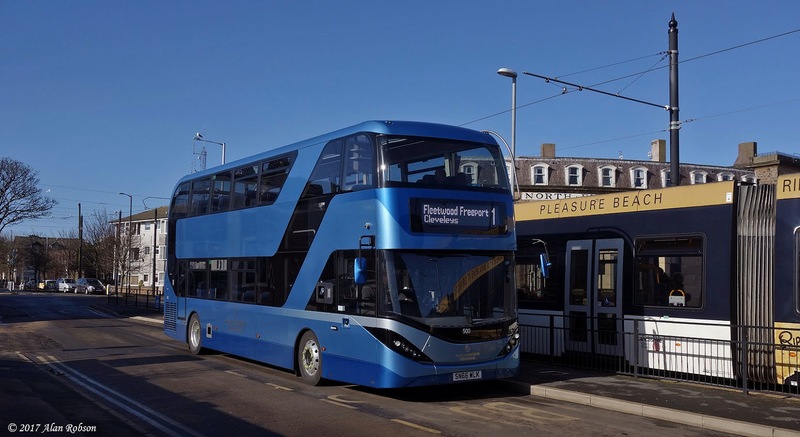 Blackpool Transport have had an Alexander Dennis Enviro 400 City demonstrator on loan during the last week. 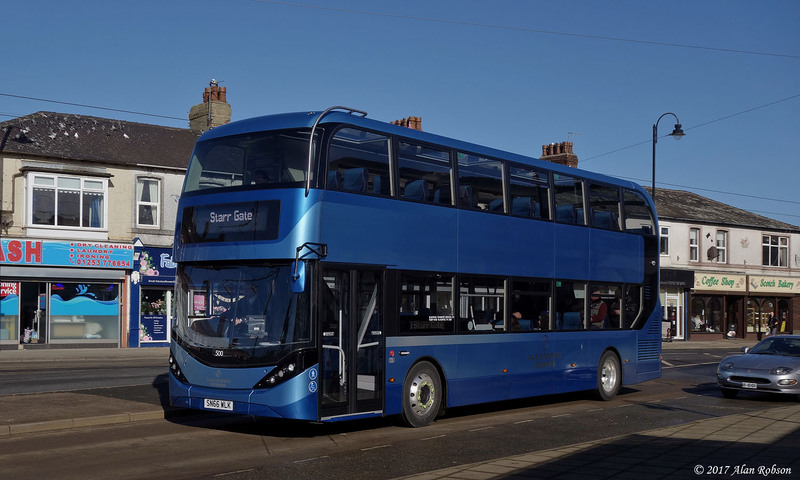 SN66 WLK arrived on Monday 20th February, and has been in passenger service on various routes throughout the week. 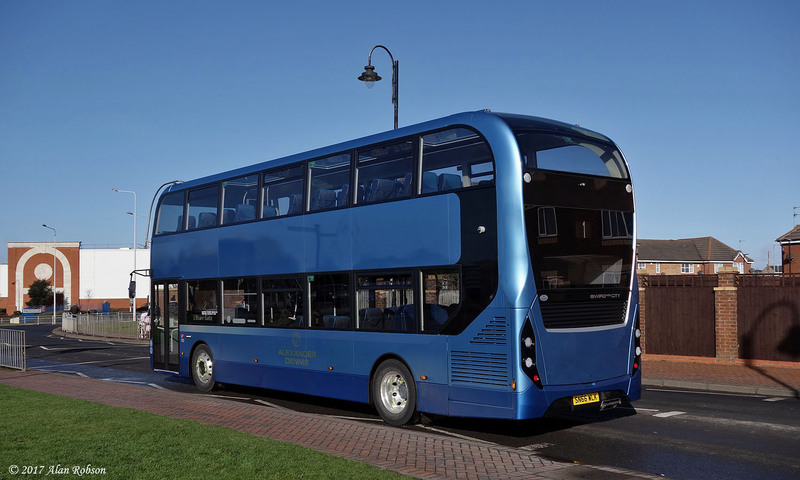 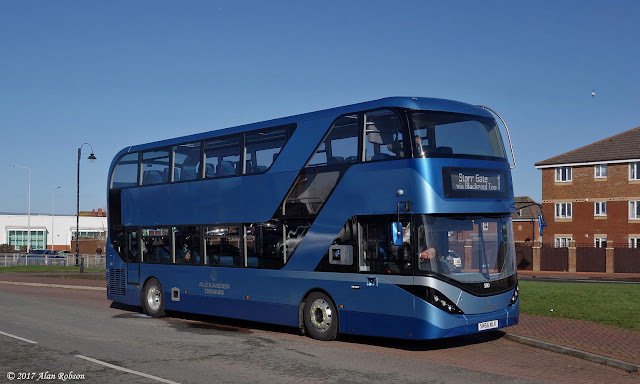 The blue demonstrator features three large glazed rooflights in the upper deck roof, plus other detail differences to the Enviro 400s currently in the BTS fleet.